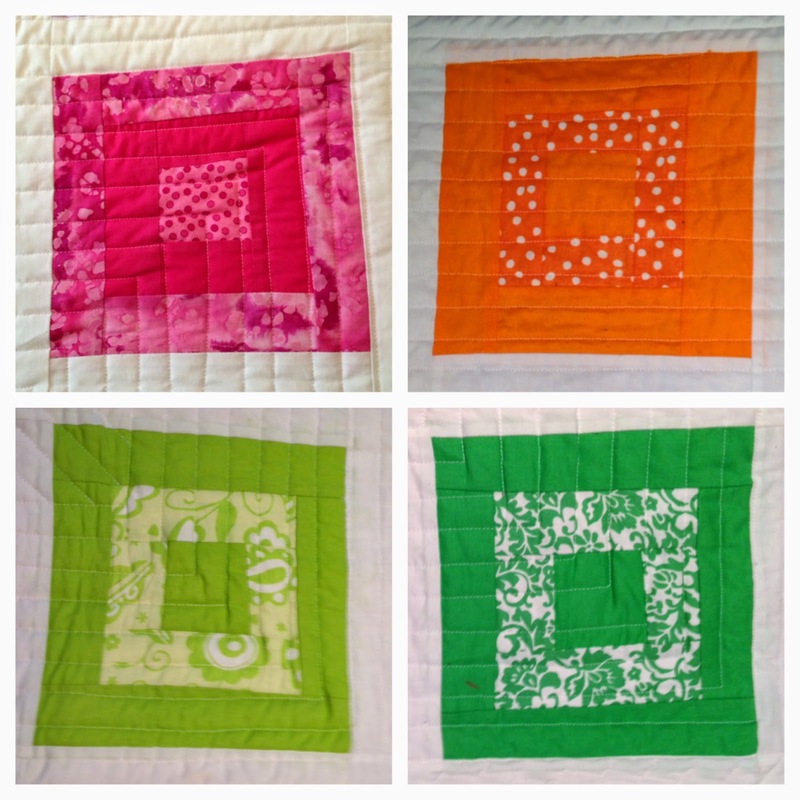 Another baby quilt! I've done several this year but I think this is the last one for a while. Of course, I always think that but I'm always wrong. 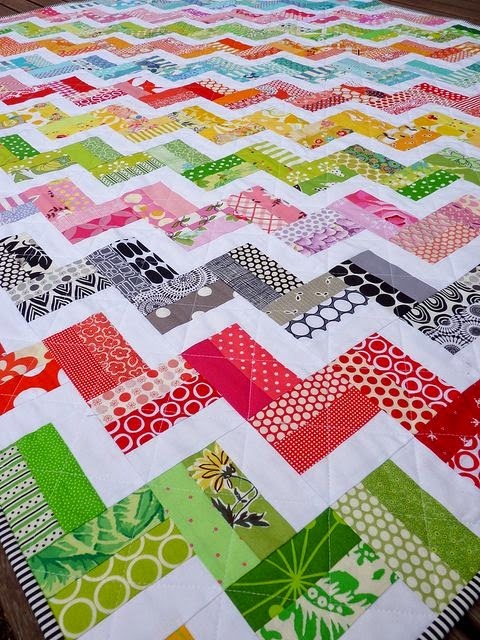 Which is just fine with me because I LOVE making baby quilts! 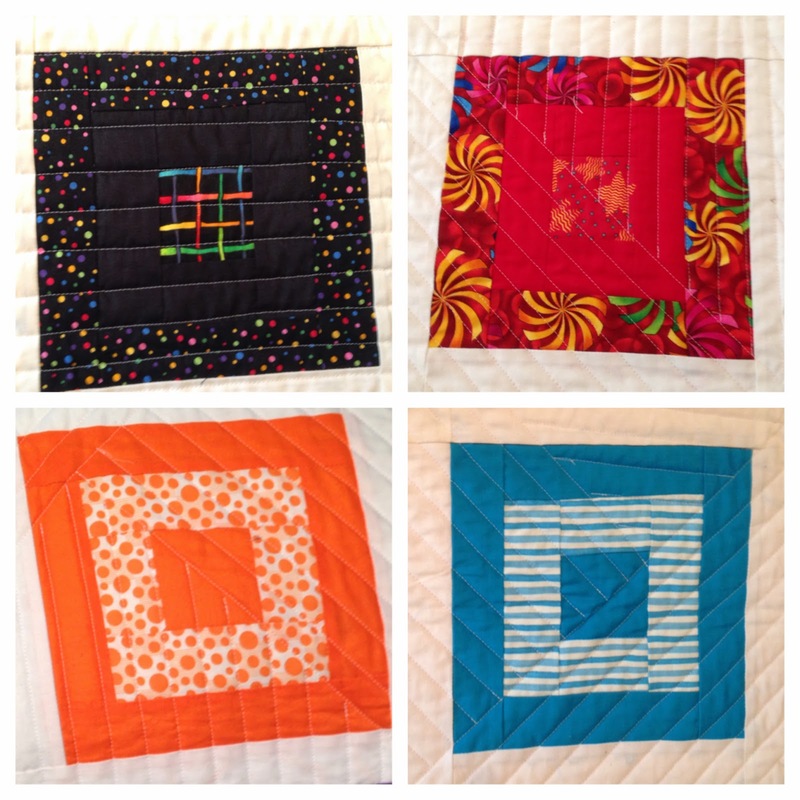 Now we just need to find some time to get this quilt to it's intended. They are due any day now! 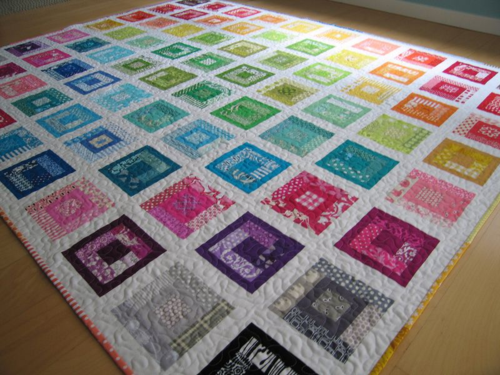 I have always loved the Paintbox Quilt pattern by Elizabeth Hartman of Oh! Fransson. But I had never thought gsdgabout doing it until a few years ago when a friend said she was making one. She had been collecting solids for the project and offered to share some cuts with me. It was what I needed to get started. Isn't it so pretty?! I worked on putting blocks together of the course of about 2 years. 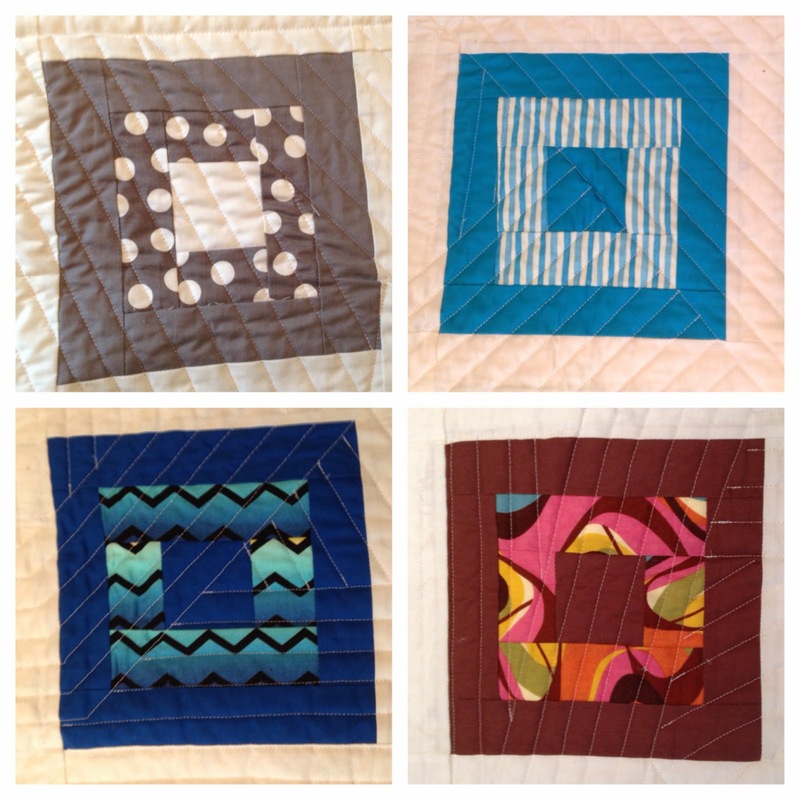 Every time I added a new shade of a solid to my stash, I cut some strips for this quilt. When I went to lay it out, I was shocked at how big it was. I had trouble finding space in my house for the layout. The layout was tough... I wanted the colors to flow from one shade to another. I played and played around until I found a layout I liked. Figuring out how to quilt it was another challenge. I ended up coming up with a pattern that I made up. I did geometric angles and filled them in as I went. A really, really long time. Taa-daa... the final project! 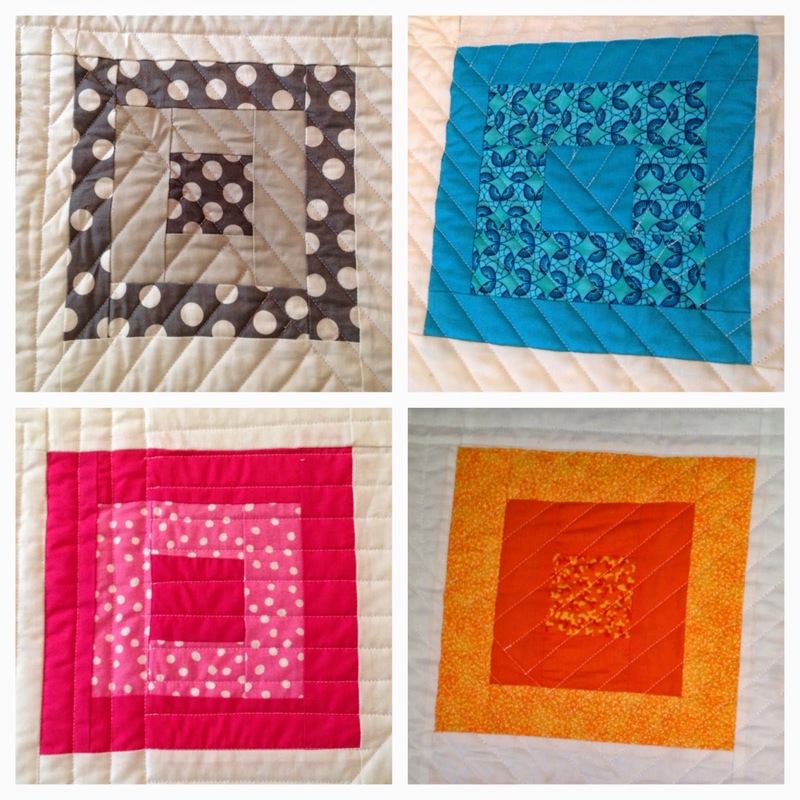 I took photos from a few different angles so you could see the different blocks. Don't mind Freddy who is sitting in his favorite spot. For more Paintbox inspiration, visit this Flickr page!